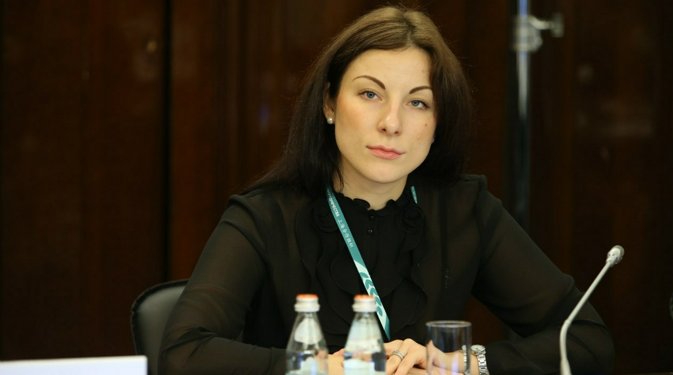 On the eve of the first India-Russia Youth Forum, Russia & India Report spoke to Tatiana Seliverstova, Director of the Centre of International Cooperation, the Russian Union of Youth. What are you expecting from the upcoming India-Russia forum? The Russian delegation at the first India-Russia Youth forum in New Delhi on March 25-27 will be headed by Pavel Krasnorutsky, Chairman of the Russian Union of Youth (RUY). Ajay Maken, India’s Minister of Youth Affairs and Sports, will be present at the event. We hope that a number of agreements will be signed including agreements with India’s Ministry of Youth Affairs and Sports as well as large Indian educational institutions. We will launch work of the Indo-Russian Business Club. The Club will be a forum for interaction for young enterprisers. We already have some experience of fulfilling such projects. In 2012, jointly with China, we opened the Sino-Russian Business Club with offices in Kharbin, Beijing and Moscow. Similarly, we are planning to open the offices of the Indo-Russian Business Club for young businessmen in New Delhi and Moscow. The Club will arrange joint business-missions and business-forums. This could lead to business projects and innovative ideas. As to the education field, we will try to arrange for the first Indian students to come to our universities for short-term internships already in autumn of 2015, and we will send our students from Moscow and regions close to Moscow to India. How do you assess the level of cooperation between Russian and Indian youth? I assess the level of cooperation between young leaders of Russia and India objectively, and I have to say that at the moment I don’t see a single programme between Russia and India, which would contribute to the cooperation of both countries. There are a number of Indians who study in Russia, usually medicine, and upon getting their certificates come back to India. A business project or a short-term internship to each other’s countries could make an essential contribution. But at the moment it’s not arranged. As RUY head of the youth cooperation department, I decided to handle this issue. We did a long research on what could be interesting for young people in Russia and India. We concluded that Russian young people would be interested to come to Indian business-hubs and innovation centres and see how innovations in the medical sphere and other fields are developed, while young Indians are eager to learn more about Russian innovative practices. Secondly, youth in Russia and India is interested in the enterprising activities. This is the third delegation that we’ve sent to India and most participants are young businessmen. For example, there is a Russian enterpriser who has taken part in our delegations three times already. He suggests providing project support to Indian companies working in Russia. Many Indian businessmen are not familiar with legal bases of conducting business in Russia. This businessman has already started supporting two Indian companies working in Russia: from the registration of the LLC to marketing activities. Also, there is a group of young Russians who are implementing innovations in medicine, which would help to detect health problems at the earlier stages. Their equipment has already been acknowledged by Russian Venture Company (RVC), Skolkovo innovation hub and different investment and commercial organisations. Cultural interaction between our countries is crucial as well. RUY can and has already arranged events where representatives of both countries come and demonstrate their talents in art, dance and music. I hope that we’ll reach real results by September 2015. Right now we are holding various forums to sign agreements and strengthen our positions in India. What are the problems in the Indo-Russian cooperation in the education sphere? The key problem in the education cooperation between Russia and India is that Russian universities’ certificates are not recognised in India. The same is with Indian universities’ certificates in Russia. The same problem is with China. But there is a list of twenty Russian universities whose certificates of higher education are being recognised by China, and when Chinese students come back to their home country after graduating from these universities their certificates are recognised. There is no such system with India, unfortunately, and this is an acute issue to be solved. Many Indian students get higher education in medicine in Russia, and even though Russian certificates are not recognised on the official level, due to the quality of the education, these graduates are still hired. But this is the situation only with medicine. Young Indians prefer to study specialties such as management in the UK or the US because their certificates are recognised. The decisions are taken by the Ministry of Education. So the only thing that public organisations like ours can do is arrange short-term trips to universities and internships but that’s it. The participants of these trips and internships get certificates, which contribute to their characteristics. On the whole, foreign students find it rather difficult to study in Russia because there are no preparatory Russian language courses. Every college has its own programmes but there is no unified programme. Even the most prestigious universities like for example the Moscow State University where I studied. There were Chinese students studying with us because there were state quotas for higher education at Russian universities. They had a very hard time due to the absence of special programmes helping foreign students to adapt. Foreign students immediately plunge themselves in the studies, they have to attend the lectures and do their homework in Russian, and they take exams just like everybody else, and they have to do all this struggling with the language barrier. We are addressing the Ministry of Education with these issues and looking forward to them taking steps in this direction but for now there is no reply.